In the words of 90’s one-hit wonders 4 Non Blondes, what’s going on? 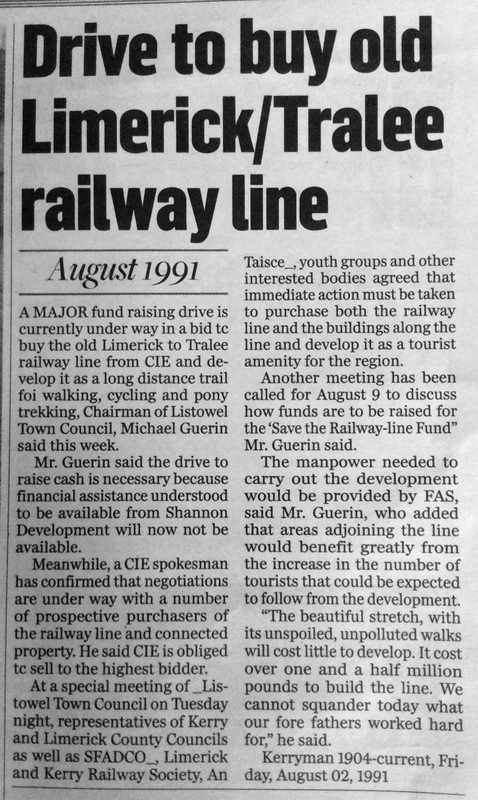 25 years ago this week Kerry County Council agreed to buy the North Kerry railways from CIE in order to develop it as a tourist amenity for the region we previously posted an article from the Kerry’s Eye reporting on the developments. The Down through the years section of this week’s Kerryman features a related article from it’s archive, published 25 years ago his week ! If you are looking for an update on the project, well Kerry County Council are still in the process of completing the purchase !